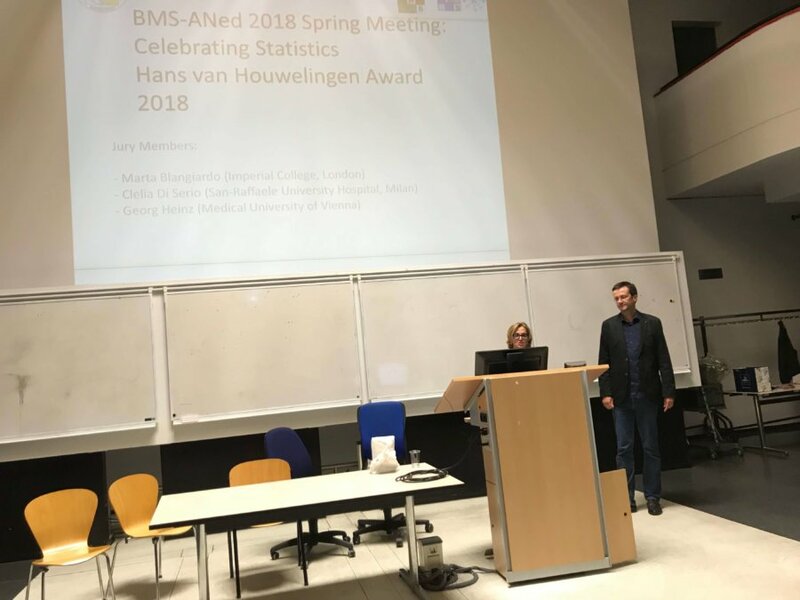 On June 1st the BMS-ANed organized its Spring Meeting celebrating the achievements in Biostatistics, particularly in the Netherlands. 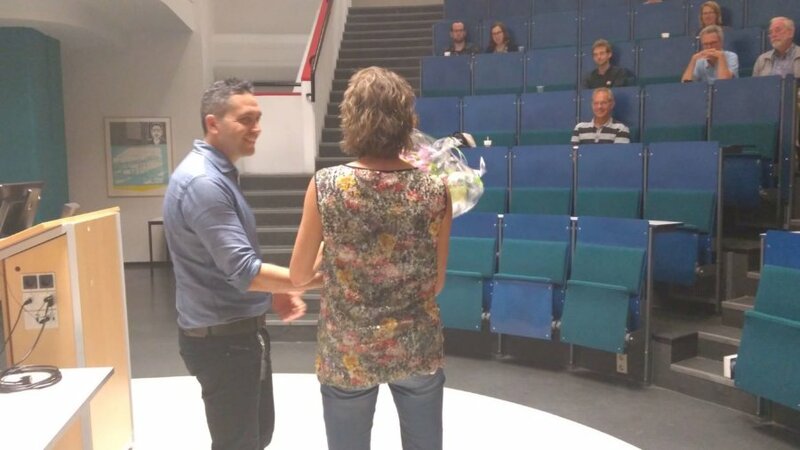 It awards every two years an award to the first author of the best Dutch biostatistics paper of the previous two years. 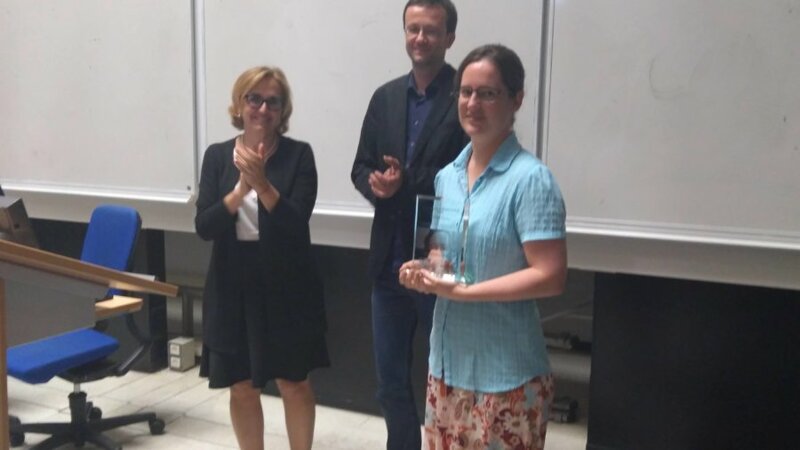 The Hans van Houwelingen Award 2018 (previously Biometry Award) was won by Rianne Jacobs (RIVM) for the paper “Identifying the source of food-borne disease outbreaks: An application of Bayesian variable selection” in Statistical Methods in Statistical Research (2017). 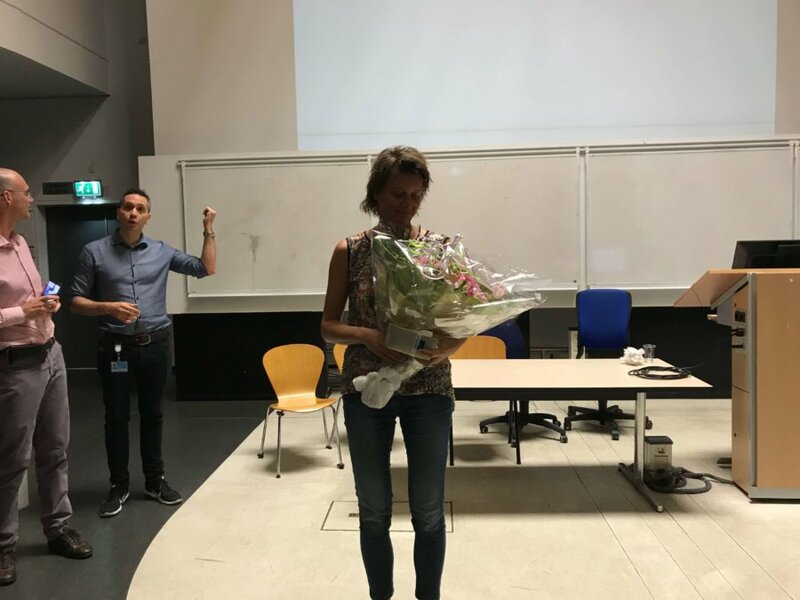 The jury consisting of Clelia di Serio (San Raffaele, Milan; Chair), Georg Heinze (Vienna) and Marta Blangiardo (UCL, London) were unanimous in their praise for the paper, stating that, besides all of its statistical qualities, it read like a detective novel. The full jury report may be found here. 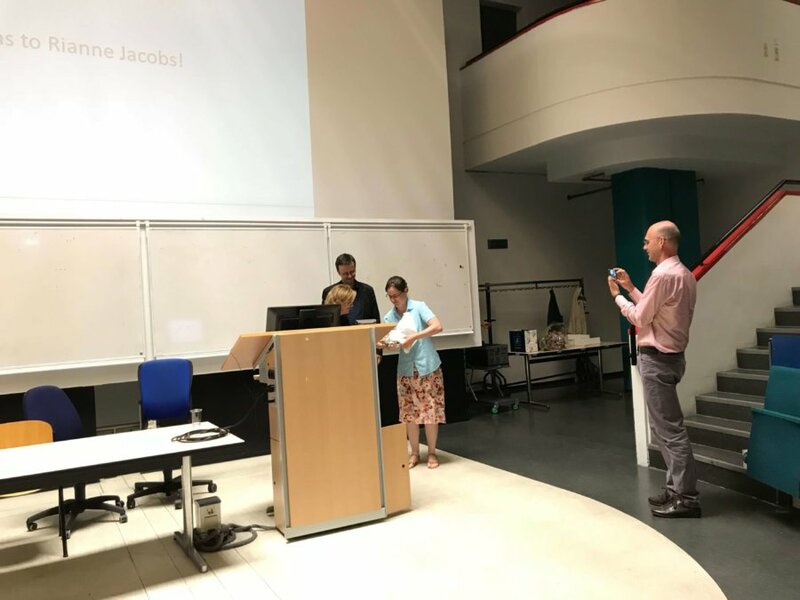 Two of the Jury members gave talks: Clelia di Serio described how data science can be both a blessing and a call to arms for biostatisticians. Especially with changing measurement technologies over the course of longitudinal studies it is important to develop suitable statistical techniques to deal with such data. 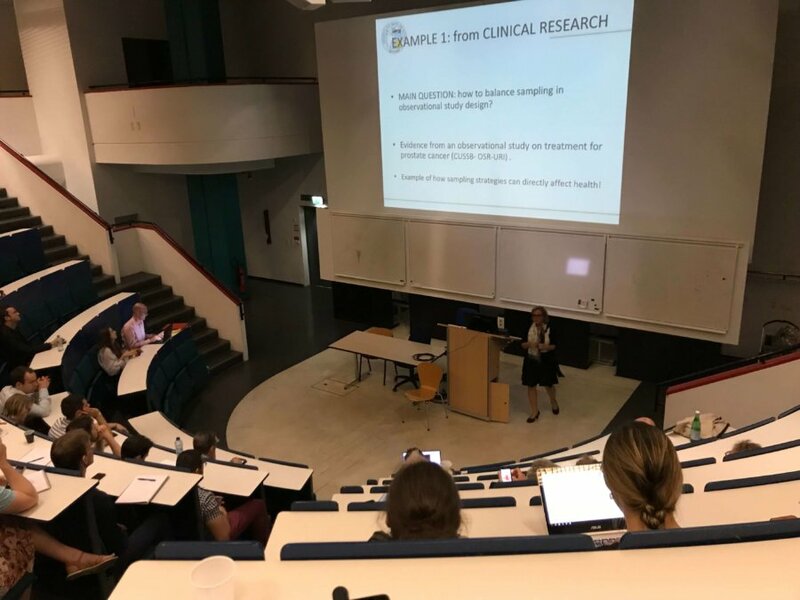 She described some intriguing research of involving the analysis of cell differentiation over a number of years in patients. Georg Heinze spoke about problems and solutions in prediction and explanation of rare events. 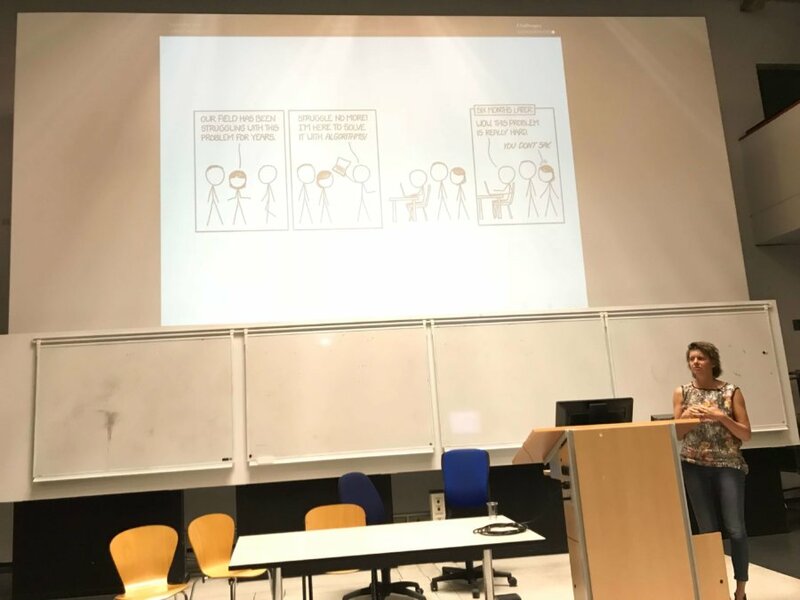 In his talk he proposed a simple modification of Firth’s logistic regression resulting in unbiased predicted probabilities. While this method introduces a little bias in the regression coefficients, this is compensated by a decrease in their mean squared error. The final talk of the day was given by the old president of BMS-ANed, Jeanine Houwing. She now resides in Leeds and presented her work on functional data analysis in the case of Electronic Health Records. 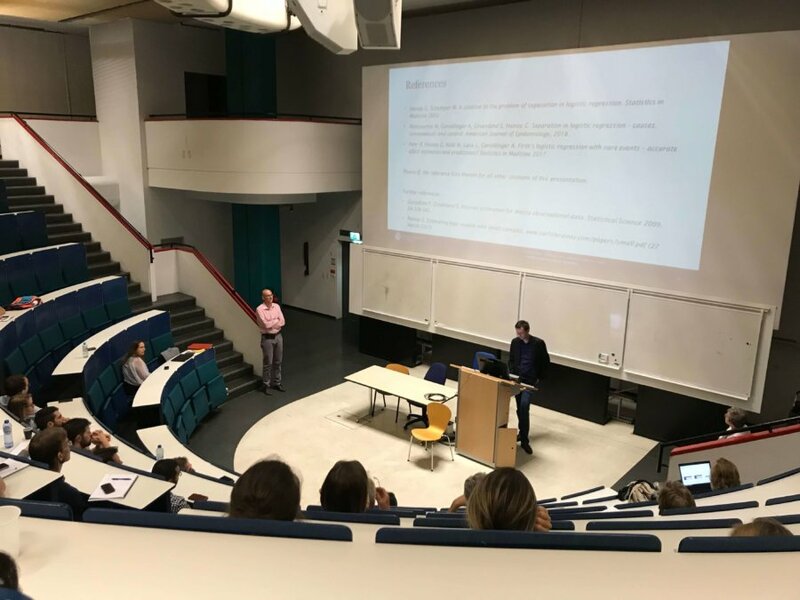 During the Annual Membership Meeting, the BMS-ANed society could look back on a successful year, involving a number of events, one of its members, Hans van Houwelingen, being elected to Honorary Life Member of the IBS and many other activities involving the Register of Biostatisticians and PSDM. 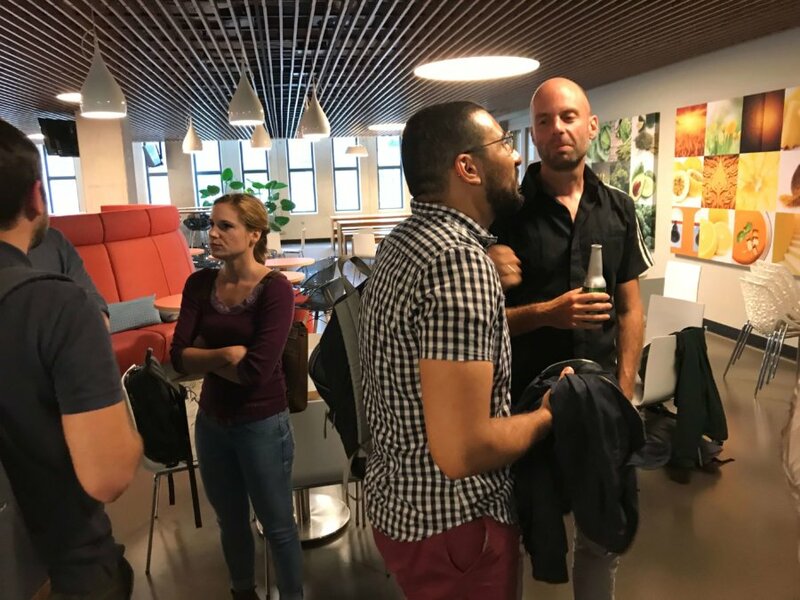 The meeting, that attracted some 55 participants, was concluded with drinks and many a good discussion. Minutes of the meeting may be found here.